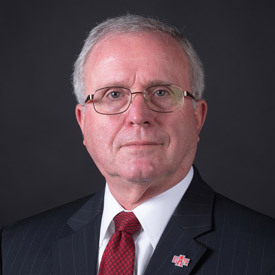 Dr. Doug Whitlock, interim chancellor, has shared his experience and wisdom several times since pausing his retirement and joining the A-State family for the past nine months. One example is his Spring Commencement address, and another was his last First Friday. A-State also recognized him with the first Champion of Diversity award in April. At the Board of Trustees meeting Thursday, his final chancellor's video report noted some of the more significant recent faculty, student and staff achievements. 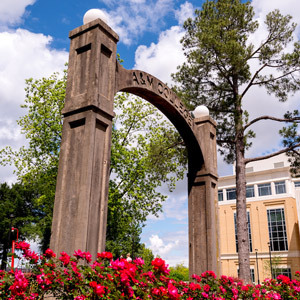 Congratulations to seven A-State faculty members who were promoted to the academic rank of professor Thursday, June 8, by action of the Board of Trustees during a meeting at the ASU-Newport campus. The board acted on recommendations from the Promotion, Retention and Tenure Committee and university administration. Those promoted to professor and their respective disciplines are: Dr. Patricia Quinn Robertson, business law; Dr. Brian Church, exercise science; Dr. David LaVetter, sports management; Dr. Minghui Gao, secondary education; Dr. Temma Balducci, art; Dr. Cyndy Hendershot, English; and Dr. Susi Snellgrove, nursing. There are 15 faculty members who will begin the next academic year with tenure, as recommended through the PRT process. Those attaining tenure and their respective academic disciplines are (in alpha order): Deanna Barymon, diagnostic medical sonography; Dr. Koushik Biswas, physics; Lisa Bohn, theatre; Dr. Ross Carroll, physics; Dr. Jeonghee Choi, teacher education; Dr. Cheryl DuBose, magnetic resonance imaging; Dr. Annette Hux, special education; Dr. Sarah Labovitz, music; Dr. Amanda Lambertus, mathematics education; Dr. Karen R. McDaniel, management; Dr. Larry Morton, social work; Dr. Susan Motts, physical therapy; Dr. Asher Pimpleton-Gray, counseling; Dr. Virginie Rolland, quantitative wildlife ecology; and Dr. Stacy Walz, clinical laboratory sciences. A total of 16 faculty members were promoted to associate professor for 2017-18, as approved Thursday by the Board of Trustees. Those promoted and their respective disciplines (by college) are: Dr. Rajesh Sharma, renewable energy technology; Dr. Zahid Hossain, civil engineering; Dr. Annette Hux, special education; Dr. Asher Pimpleton-Gray, counseling; Dr. Jeonghee Choi, teacher education; Lisa Bohn, theatre; Dr. Sarah Labovitz, music; Dr. Stacy Walz, clinical laboratory sciences; Deanna Barymon, diagnostic medical sonography; Dr. Cheryl DuBose, magnetic resonance imaging; Dr. Susan Motts, physical therapy; Dr. Larry Morton, social work; Dr. Virginie Rolland, quantitative wildlife ecology; Dr. Ross Carroll, physics; Dr. Koushik Biswas, physics; and Dr. Amanda Lambertus, mathematics education.